Understanding the Brazilian forest market is a fascinating way of understanding how the economy in the country behaves in general. Indeed, many of the facts that surround the country during this year – social and economic transformations, elections in October, prospects in the international market – are also of immense impact on the industry and should not be left out. For today’s article, we compiled some points that the first quarter of 2018 has already shown concerning the Brazilian forest industry. This is one of the critical issues that all industries are still trying to adapt to in Brazil since the unstable environment is challenging and the recovery is still going very slowly in all sectors. However, in the forestry sector, the perception of the first quarter has shown positive, bringing cheer to producers, buyers, and investors. In the last year, pulpwood production reached 12 million tons, of which almost 40% was exported to China. This fact generated revenues of at least US $ 2.3 billion. Another innovation in the export sector regards the US market and a new agreement between the United States and Canada on the supply of softwood from conifers. This means that the average Brazilian export of this type of material to the United States increased by 15% in 2017 and could exceed 20% in 2018. In economic terms, Brazil also sees itself ahead of a dollar hike. On the one hand, this increase benefits the export of manufactured goods, primarily pulpwood and paper. However, it also affects the entire forest chain, increasing the cost of production, since the pricing of inputs is all in dollars. What is expected for 2018 is the stabilization of the currency, so that enterprises and new businesses can be carried out with a more realistic deadline. It’s not news that we know how much the pulp and paper industry is essential for the Brazilian market. With the announcement of new mergers for this year, partnerships and a considerable increase in exports, we can not ignore the fact that the pulp and paper industry today moves capital throughout the country and places Brazil in the spotlight of international investors. By 2018, we will see nothing less than the interest of significant foreign players in Brazilian producers to expand their business. This is due to the high turnover of eucalyptus, too easy cultivation, to extensive planting areas and the competitive price of the raw material. As we have already said, eucalyptus is one of the most economically critical global materials, impacting more than 100 countries with its many varieties and uses. 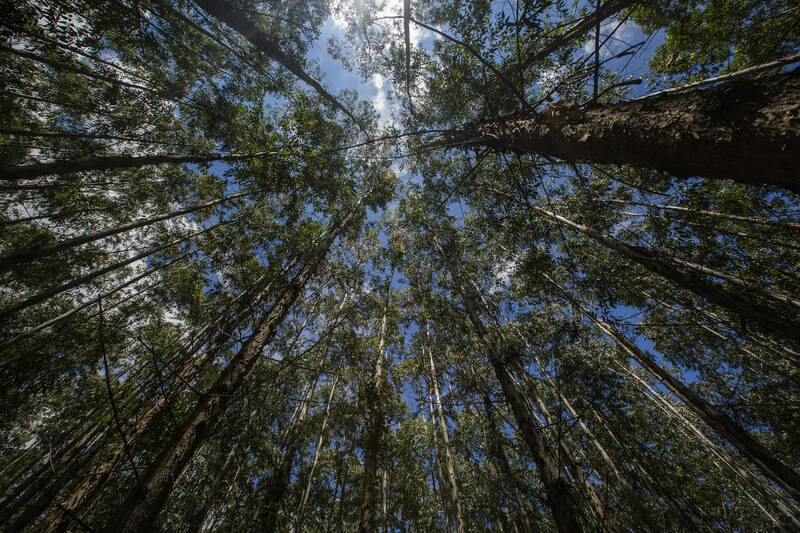 The continental reach of eucalyptus in Brazilian soil is the primary leverage for the pulp industry, putting the country ahead of its competitors on a world scale. The focus for 2018 is the dynamism of the pulp industry, which will bring even more productivity and innovations in the market between companies (B2B model) and also indirect benefits to the final customer with new products and technologies. A conservative market that needs so many changes and the development of new technologies is a challenge to the industry. Therefore, professionalisation is necessary, to avoid unnecessary waste of labor force and material. A skilled and 21st century-oriented workforce is what, today, decides the path that the market must take. Also, the industry turns to consulting firms and investors are more alert to more rational ways of closing their businesses based on plans and feasibility studies. And it is at this point that the new technologies applied to the field are vital since they are an innovative way to optimize the workforce. Thus, avoiding waste and bringing transparency to the producers and buyers, besides maintaining a much more precise internal control in the time to check inventory, report and eliminate errors that can quickly be committed. The innovation of the forestry sector is not only technological but also concerning the range of products that Brazil presents to the internal and external market. The conscious use of tropical wood in the manufacturing industry, as well as the importance of these materials in the design area, applied to the technology, since the possibility of producing, for example, lightweight, resistant and attractive furniture is a hook that the industry. Sturdy teak wood is also prominent, especially in imports, due to its strength, color, durability, and diversity. The same happens with the export of pine wood to the countries of North America and also the constant exchange of materials among the Asian countries. Today, the goal is to have business in a new way, consolidating the excellent results the previous years already gave, proposing market trends to a traditional industry. Technology is already part of everyday life, and we can expect it to become more and more part of the forestry sector’s day-to-day operations, for countless reasons. 4 – What’s our part? Our goal is to see the market strengthen and contribute, using pioneering technologies so that this growth is transparent and focused on efficiency. Timbeter team works every day to implement solutions that are useful from the field to the industry, from producer to buyer, reducing costs, optimizing processes, reducing time spent, and in turn streamlining the sector. Moreover, with our geolocation function, we care to combat cutting and sale of illegal timber. Through our solution, the mobile application and the storage module integrate a system for secure data recognition on all measurements made, stock separation, loading, shipping, and quality. With such data, day-to-day forestry workers become more natural, more viable and productive. Among our new products, the launch of Timbeter version for containers is also of great value to Brazilian companies that export wood to the world. Including the organization and work optimization already offered by Timbeter, the tracking option of Bill of Lading, the number of containers sent, and a digital proof regarding the quality and quantity acquired to make the process of sending and receiving much better, reducing errors, avoiding complaints and maintaining all steps linked to a digitized system. You can count on us and with a support entirely in Portuguese entirely for doubts and regarding our solution.